Statment: A configuration of circuit contains 45 ohms, 90 ohms, 90 ohms resistors. 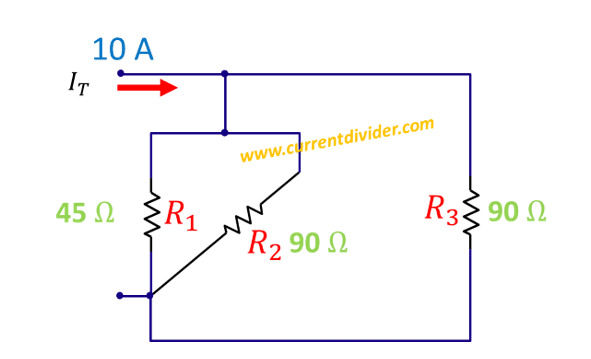 Apply the current divider to find the current flowing through the 45 ohms resistor. Solution: The circuit above might looks complex at a glance. But it is a simple parallel circuit. Although we can apply current divider rule for three resistors to solve it, let's use another approach to solve it. Now 45 ohms resistor is in parallel to R1 (which itself is 45 ohms). 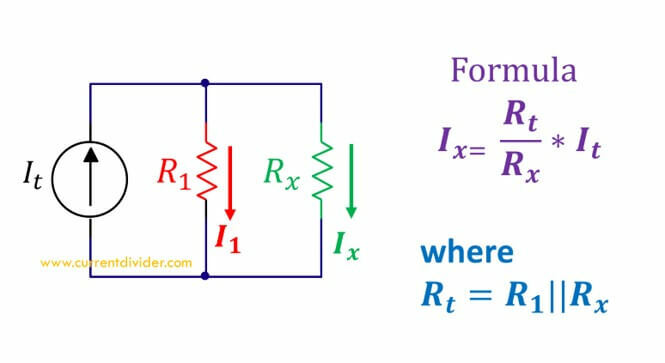 Whenever two parallel resistors of equal values are connected, the current dividers current is also equally divided. So the current flowing through is 5 A.